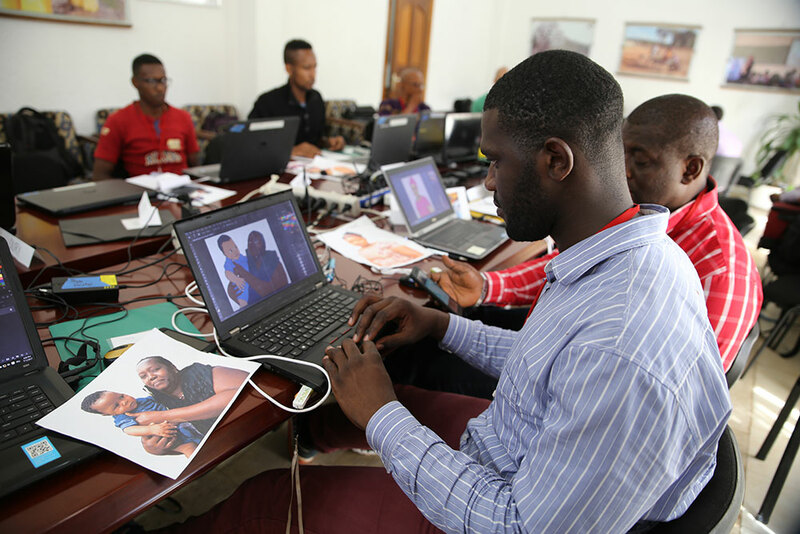 The photo-to-illustration (PTI) process allows graphic artists to use photographs from the community as a reference to develop high-quality illustrations which are technically accurate, culturally acceptable, and attractive to audiences. 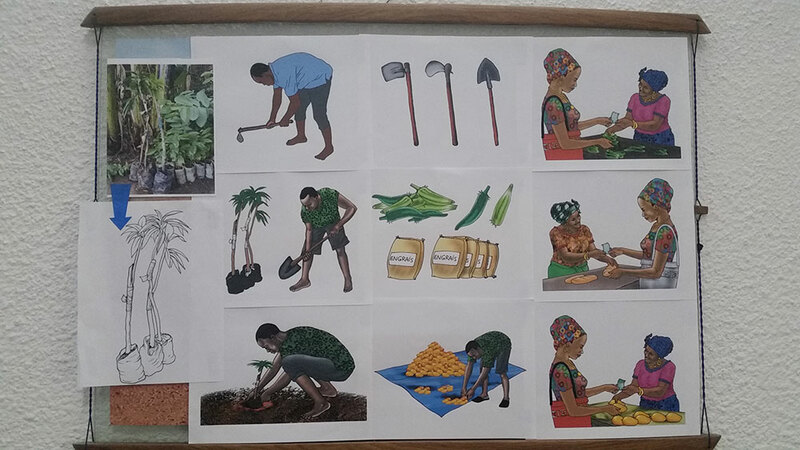 These illustrations can be used to support social and behavior change activities by engaging audiences with appealing and culturally appropriate cues for key behaviors. 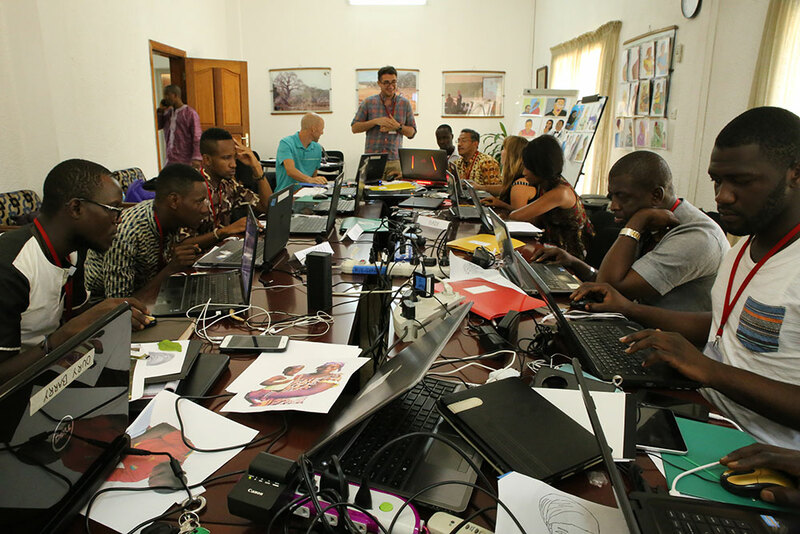 In Guinea, SPRING facilitated a six-day training on the PTI process for 14 participants. 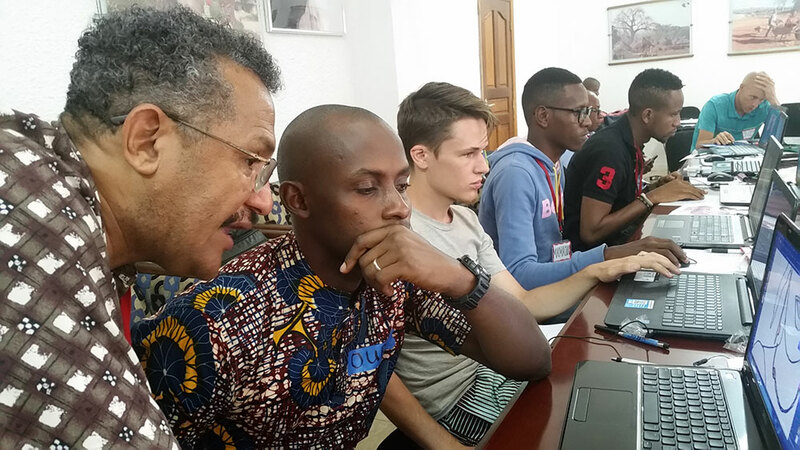 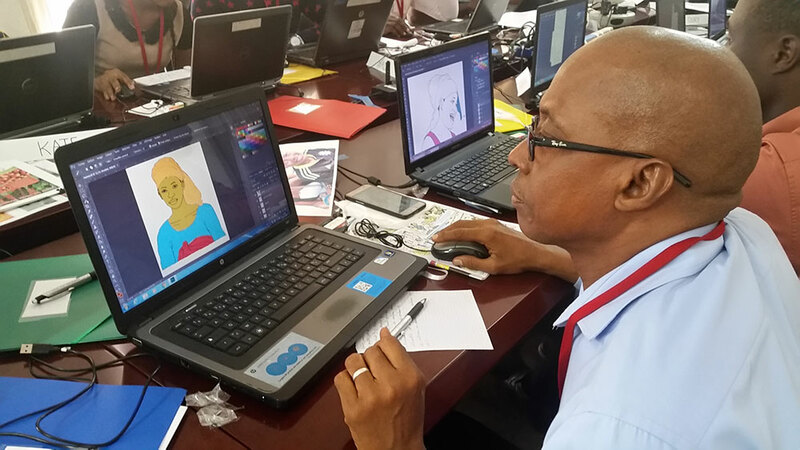 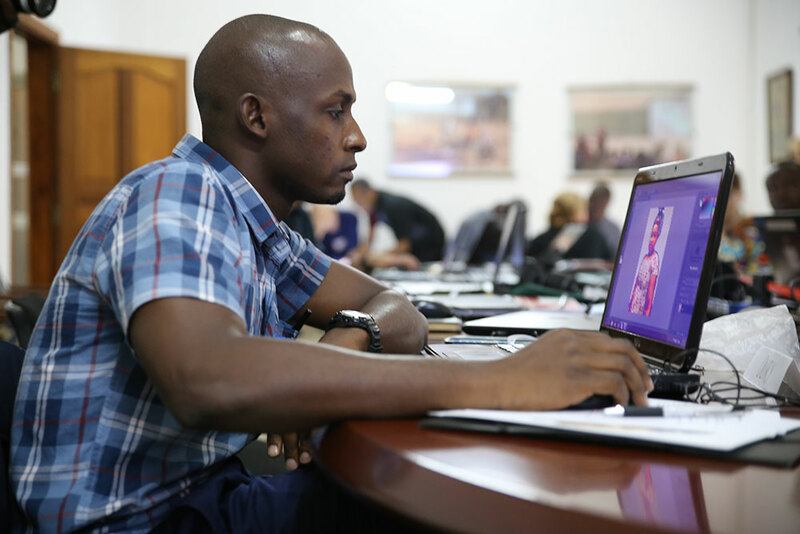 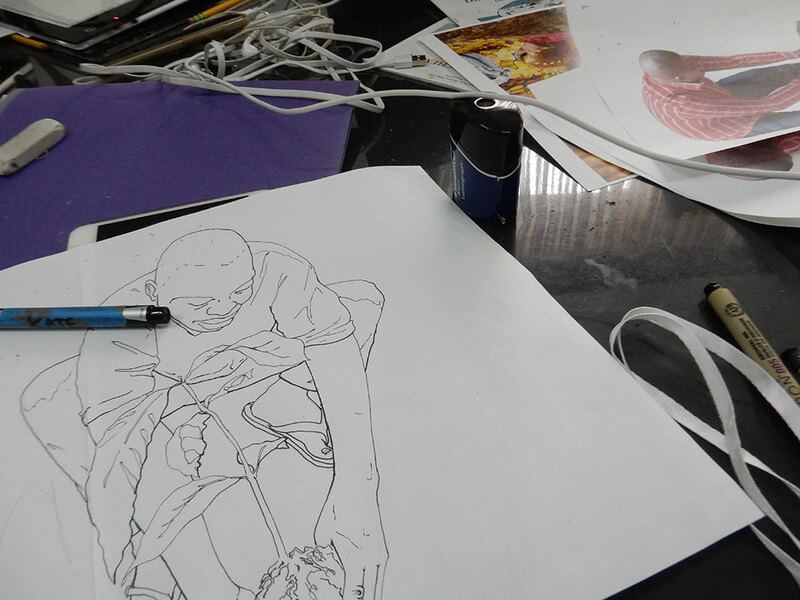 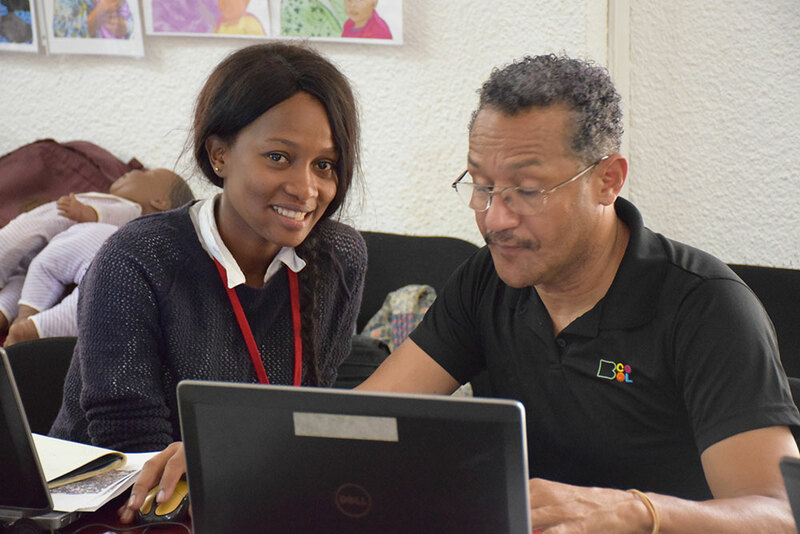 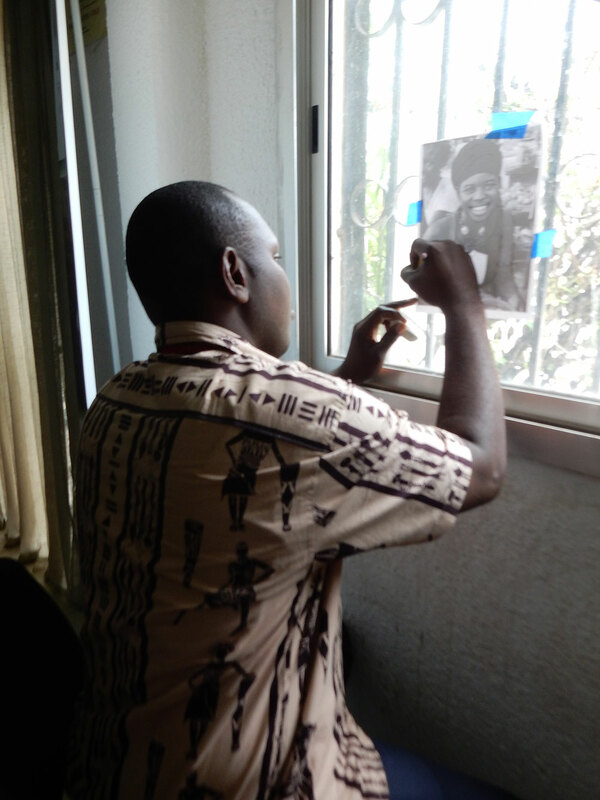 The training, which was held in the Peace Corps office in Conakry, Guinea, was led by graphic artist Victor Nolasco, with the support of SPRING staff. 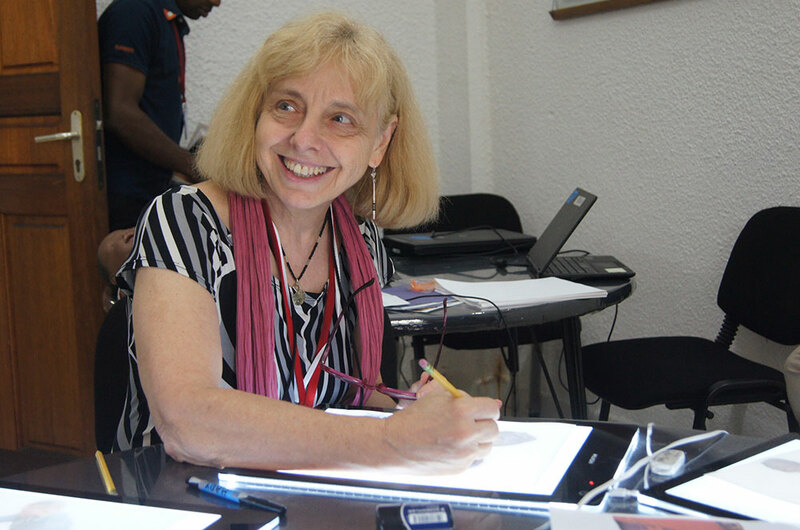 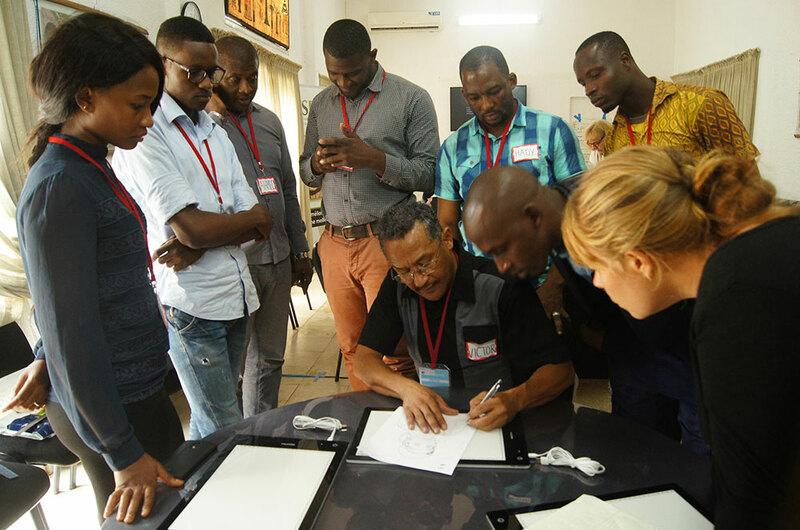 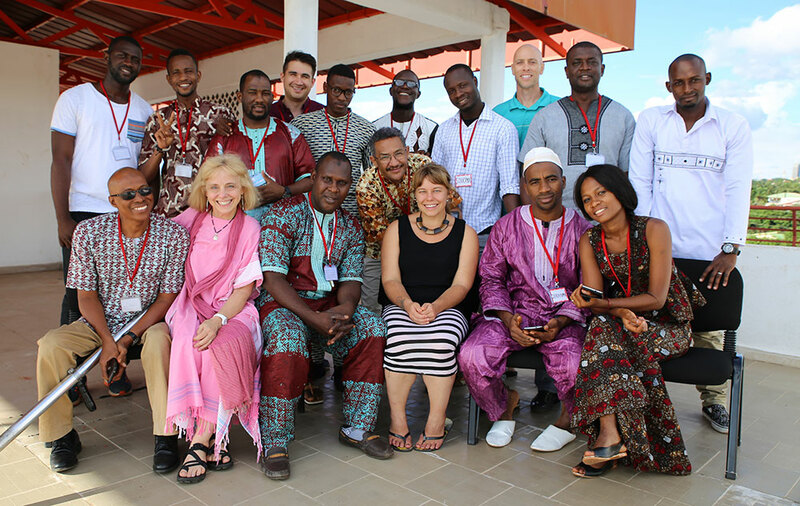 There was a diverse group of participants, including artists from the Guinean cartoonist cooperative, La Bulle d’Encre (The Ink Bubble), Peace Corps volunteers and staff, and representatives from Hellen Keller International in Sierra Leone. 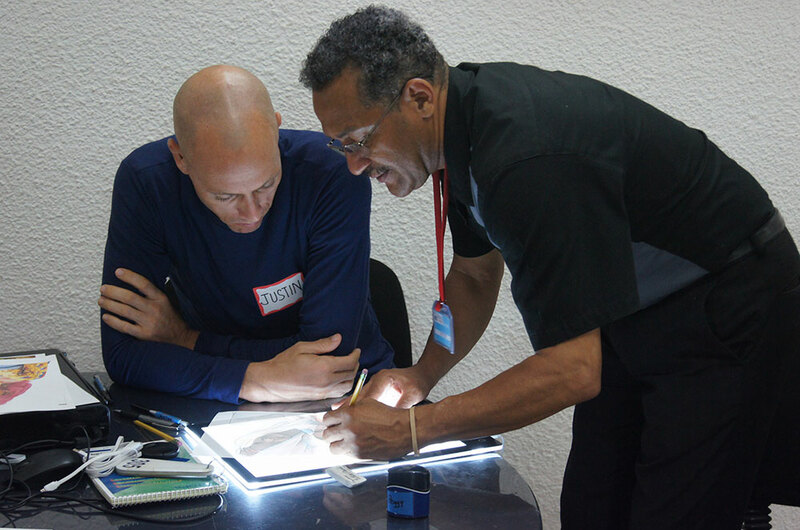 Participants were able to learn and practice the technique on their current programs, producing materials on consumption of fish and the cultivation of coffee. 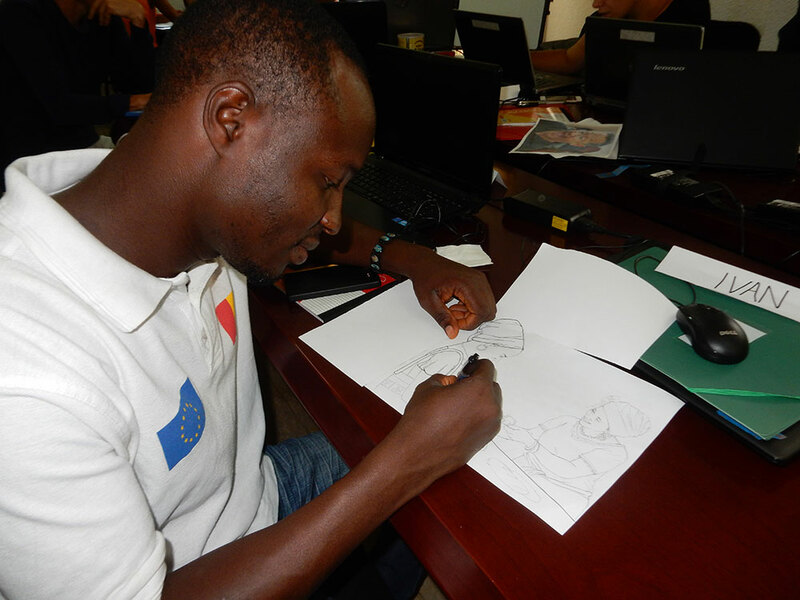 By training both local artists and Peace Corps Volunteers who live in the field, SPRING’s hope is to bring the materials design process as close as possible to the communities where these illustrations will be used, thus giving local voices more input in their development. 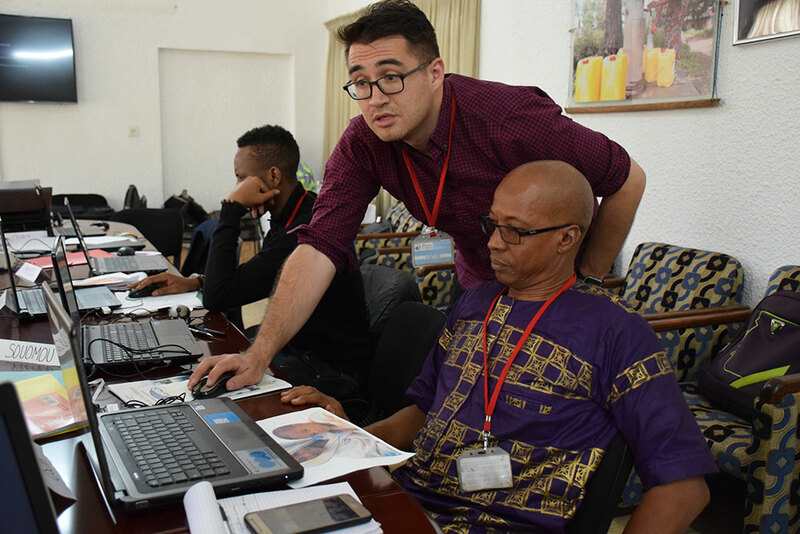 Everyone was very enthusiastic about using their newfound skills to promote social and behavior change in the communities where they work. 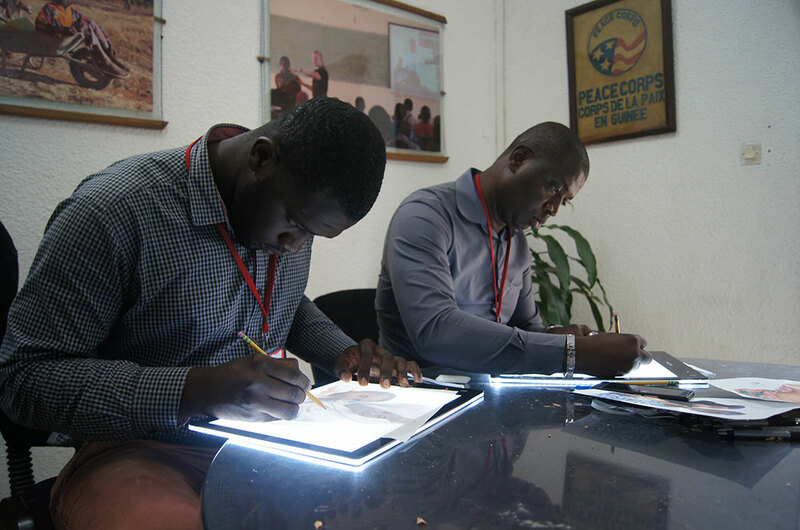 Members of La Bulle d’Encre detailed their plans to train the rest of their cooperative in the PTI process, further expanding the cadre of resources available to projects in Guinea for materials development. 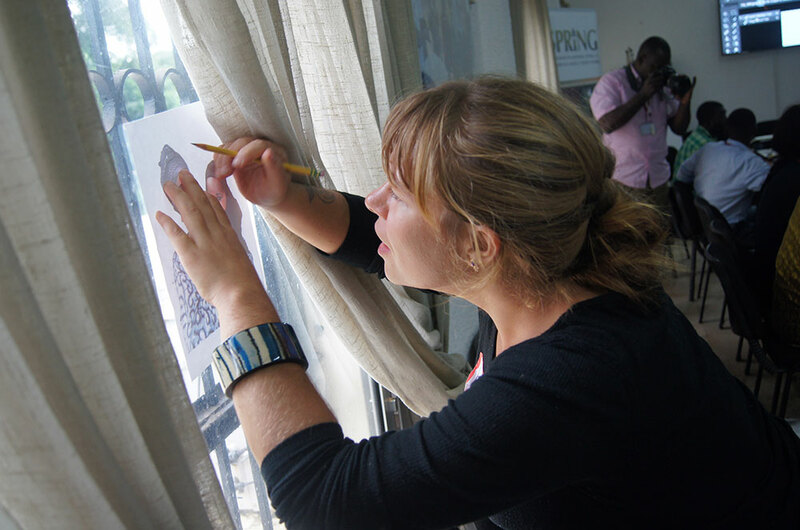 Additionally, following the workshop, artists from La Bulle d’Encre participated in a sharing event with SPRING to connect with USAID and other stakeholders in Guinea for future SBCC work using the PTI process. 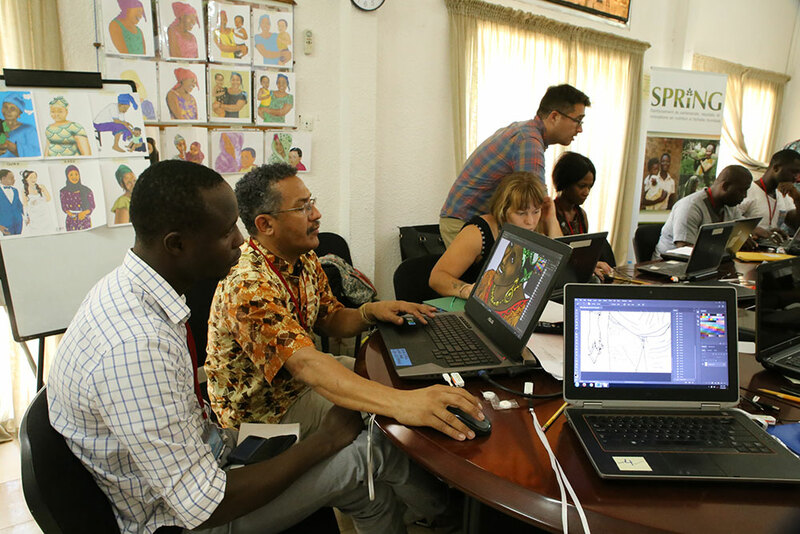 This website, built in collaboration with UNICEF, hosts hundreds of illustrations developed using the PTI process. 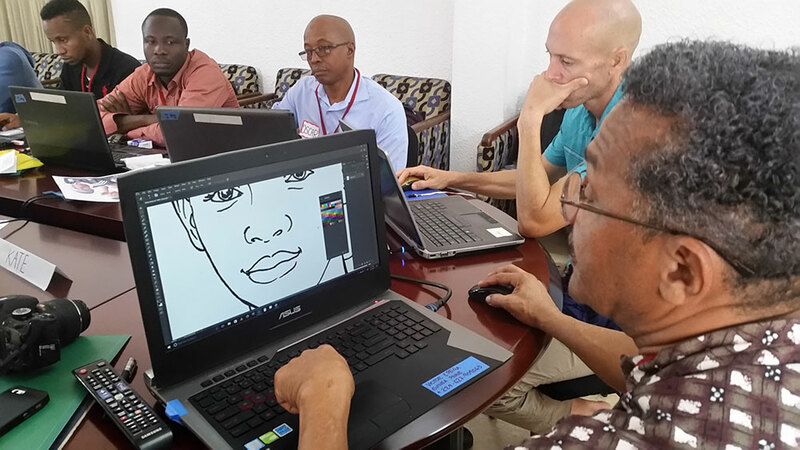 These illustrations are provided as layered files so that you can modify them to your program needs.